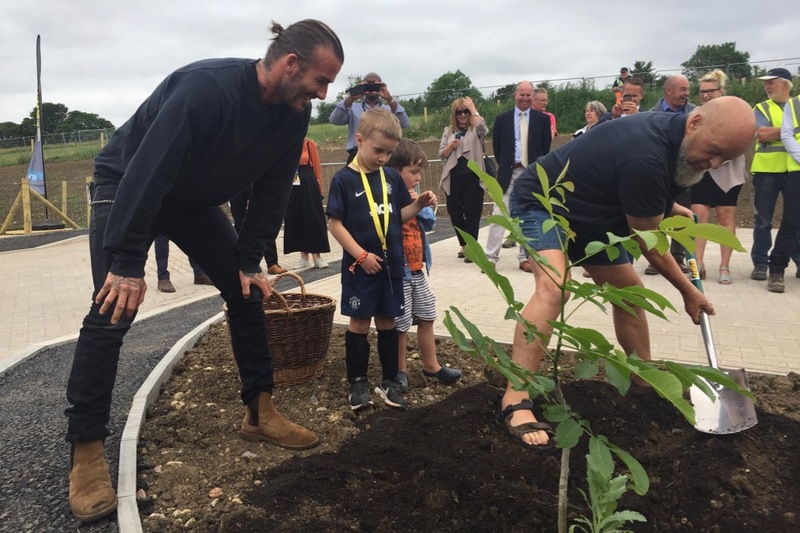 This afternoon, David Beckham officially opened the new tranche of social housing in Pilton village. 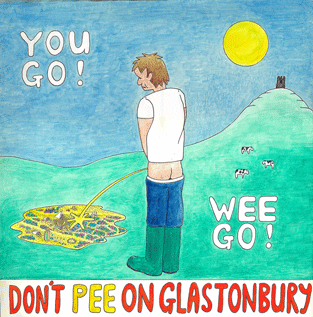 The project, started by Michael Eavis in 1996, uses land donated by the Festival, and as of today now numbers 35 rentable homes. 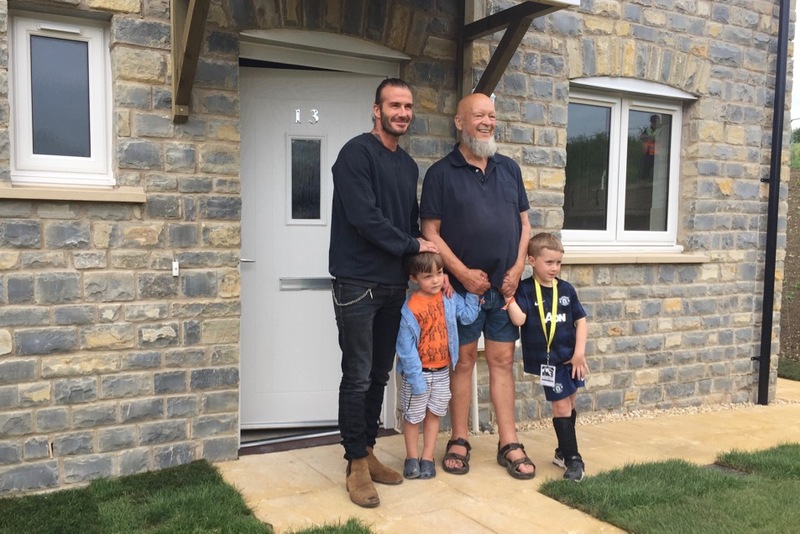 Present also were the builders, Carters, and the sponsor partner for the social housing project, the Guinness Trust. 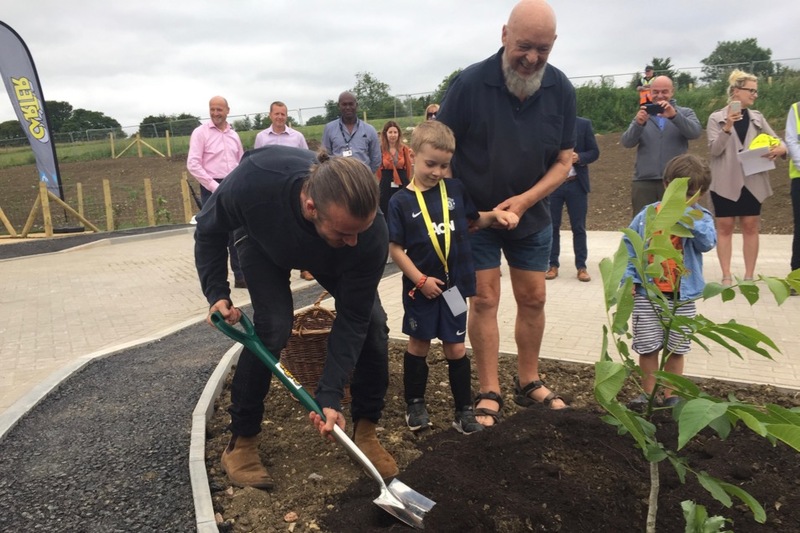 Beckham and Eavis (who was with two of his grandchildren) planted a tree to commemorate the occasion.